The amazing Google Translate app is a must-have when traveling to a location in which you don’t speak the native language. 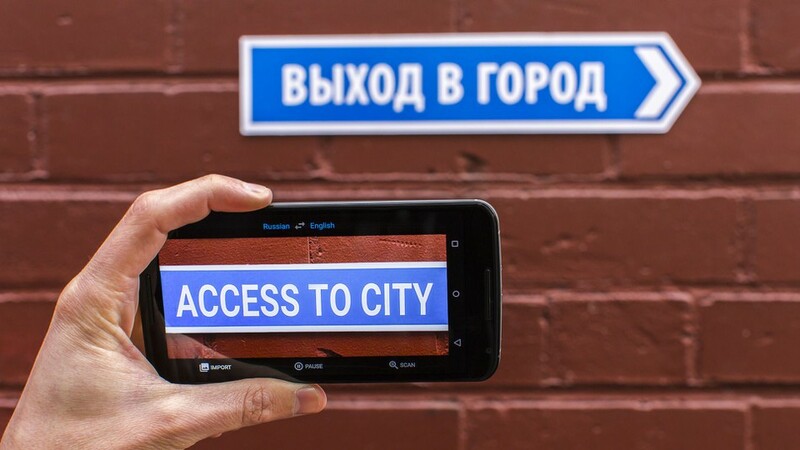 It’s most mind-blowing feature is the camera function, by which you can point your phone at any foreign text (signs, menus, etc.,) and see the letters magically transform into your native language. The app also gives you bi-directional spoken translation for “talking” to people in their native tongue. 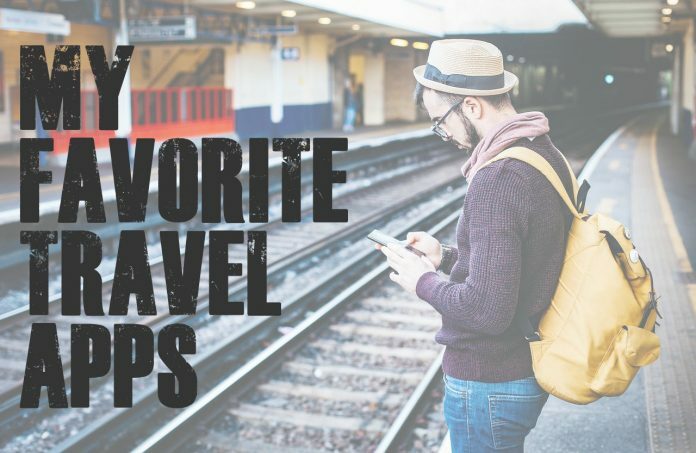 The GateGuru app, now a subsidiary of TripAdvisor, has many handy tools for travelers, but I primarily use its “Amenities” feature to find restaurants, coffee shops, ATMs, and bathrooms at airports. 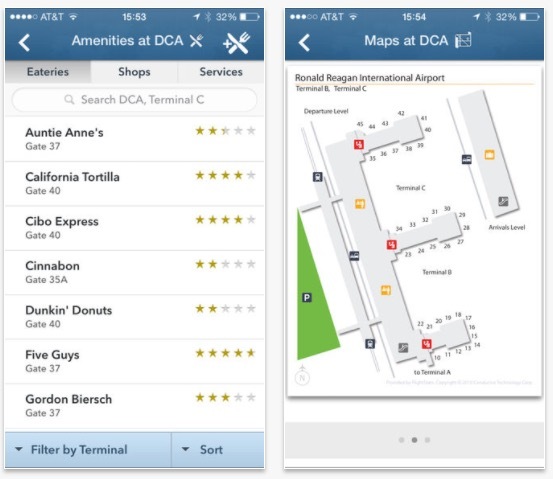 The amenities list even includes ratings from fellow travelers, so you can find the best places to eat while waiting for your flight. Other GateGuru features include airport maps, tracking of your itinerary, weather reports, quick and easy car rental, and much more. 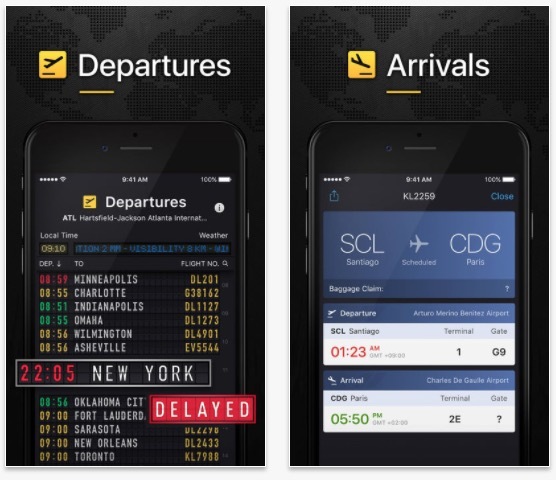 FlightBoard turns your phone into an Arrivals / Departures board for any airport in the world. You can see real-time status information for any flight, with updates every minute. You can also search for specific flights by destination or by airline. FlightBoard supports over 16,000 airports world-wide. FlightBoard does not have an Android version, but you can find a similar app here. 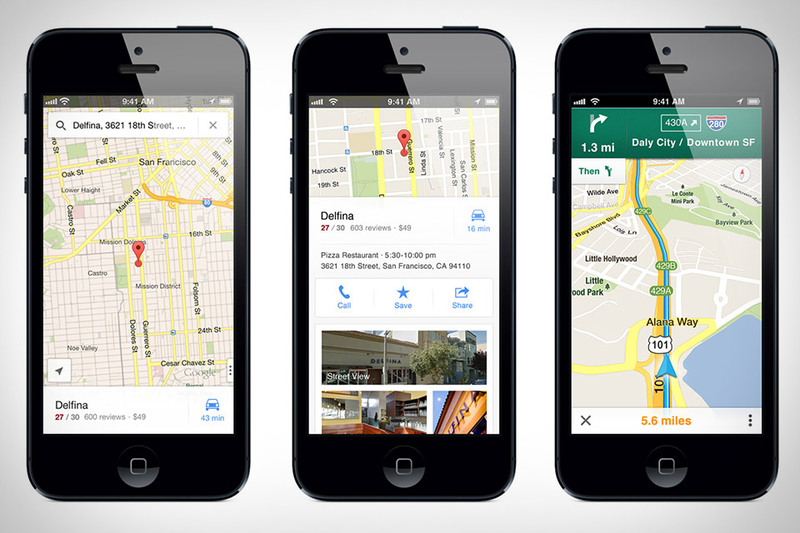 In addition to its robust navigation features, Google Maps also provides a directory of top-rated restaurants and businesses, including phone numbers, hours of operation, address, photos, and even menus. 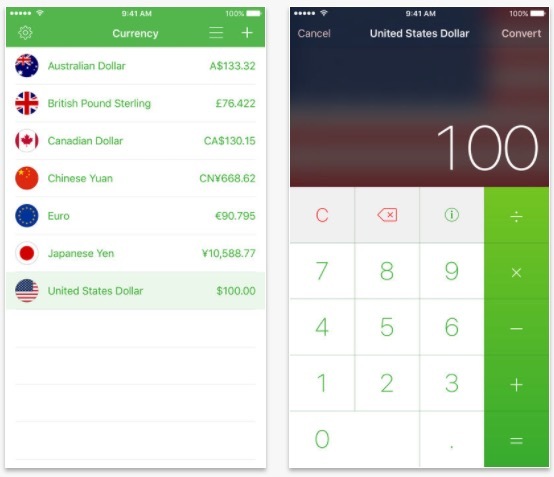 Currency, an app by Jeffrey Grossman, provides a simple and intuitive tool for converting amounts from one currency to another. It supports over 150 currencies and countries, and is a must-have if you’re traveling internationally. 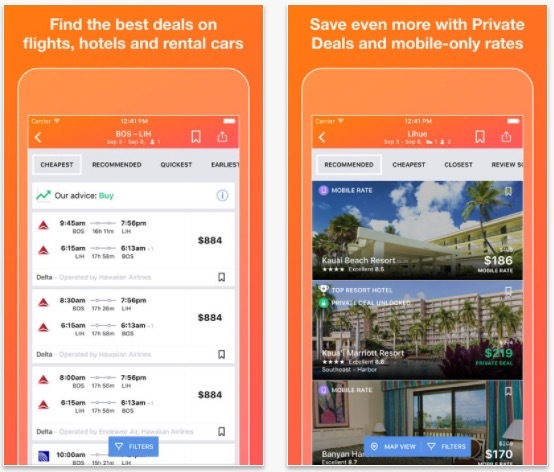 Kayak searches hundreds of travel sites at once to find you the best deals on flights, hotels, and rental cars. You can sort your flight search results by cheapest, quickest, or earliest to find the flight that best suits your needs. Other features include a built-in flight tracker, price alerts, and a “portable travel assistant” to help you organize, manage, and keep track of your itinerary. Although these apps can sometimes have poor designs and get bad reviews, it can nevertheless be very helpful to have your airline’s official app installed on your phone. 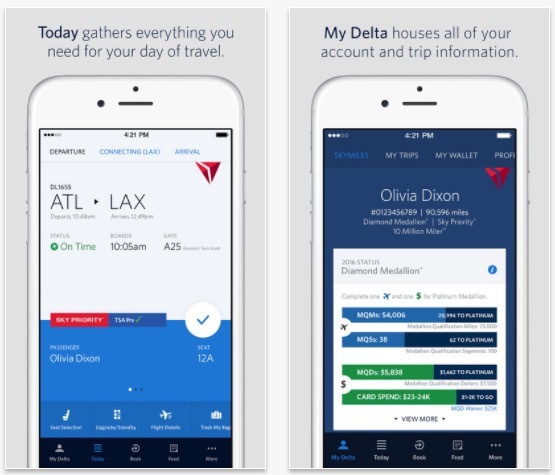 The Delta app, for instance, will tell you where your checked baggage is, alert you to last-minute gate changes, give you a scannable e-boarding pass, and more. Waze – Free community-based GPS and navigation app. It uses real-time information sourced from its millions of users to give you not only the quickest route, but great real-time information about construction zones, potholes, traffic backups, and more. And it works just about everywhere in the world. Dark Sky – This app provides the most accurate hyperlocal weather information available. It gives you down-to-the minute forecasts showing when rain will start or stop, and it provides useful seven-day forecasts as well. My go-to weather app.